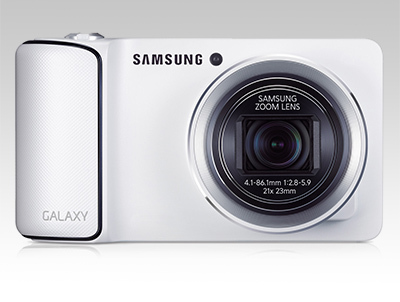 Samsung today launched the first true compact camera/smart device hybrid - the Galaxy Camera, with 3G/4G connectivity as well as Wi-Fi. Take a WB850F camera, and a Galaxy SIII smartphone and blend them. It will be compatible with various VoiP apps, such as Skype, which will enable it to be used for making voice and video calls over 3G/4G or WiFi. Photographic features include a 21x zoom lens, spanning 23-481mm (equivalent) and a built-in 'Photo Wizard' for editing photographs in-camera. 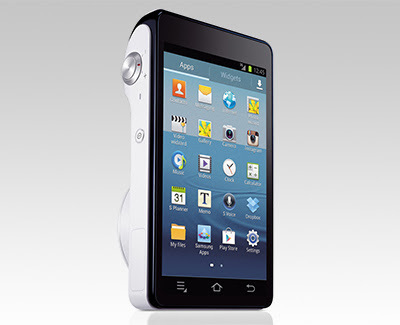 From the back the Galaxy's massive display and three 'soft' buttons are classic Android OS. Gone are the usual buttons and dials that we'd expect on the rear of a Samsung compact camera. 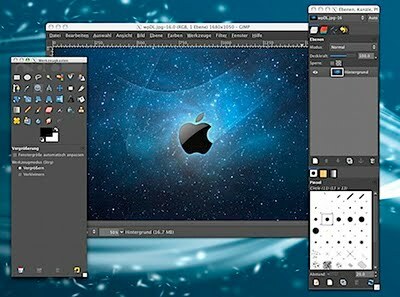 It’s a great free PS alternative, but Mac users have long had to install X11 to get it to run. But not anymore! The newest version of Gimp for Mac OS X is bundled as a self-contained native app. That means no X11 installations, no Xcode, nothing but a simple dmg download. Drag Gimp to the /Applications/ folder like any other Mac app to install it, then launch as usual. If you have GateKeeper enabled you’ll want to right-click Gimp and choose 'Open' to temporarily get around Gatekeeper‘s developer restrictions in OS X Mountain Lion. 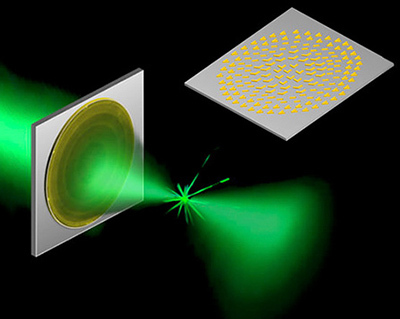 Using an ultrathin wafer of silicon and gold to focus lightwaves, researchers at the Harvard School of Engineering and Applied Sciences have created a revolutionary new kind of camera lens that completely eliminates the image distortion created by traditional glass lenses. It could not only pave the way for lighter cameras that are still as capable as today's swappable lens models, but even cameraphones that snap images as impressive as a DSLR. The lens measures in at 60 nanometers thick, so for all intents and purposes it's almost a 2D object. It's made by plating a thin wafer of silicon with a layer of gold that's then etched away to create a series of V-shaped structures across its surface. When light hits these structures it's slowed ever so slightly which changes its direction—like the glass in a traditional lens does. And by carefully tuning the angle, size, and spacing of these V-shaped structures across the surface of the lens, it can capture wide-angle or telephoto images without the distortion that's seen from something like a traditional fish-eye lens. Mirrorless swappable lens cameras have already taken a bite out of the DSLR's market share, but if and when this technology hits the market it could serve as a death blow to the heavy bulky cameras preferred by professional photographers. 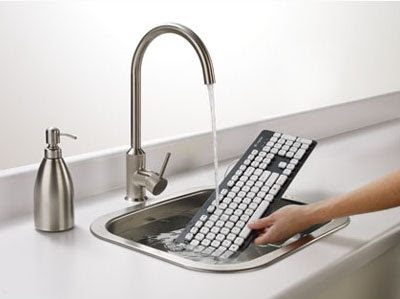 Logitech has just announced they're making a washable keyboard. You can run it under the tap or dunk it in a basin full of water, rinsing away the remnants of two weeks' worth of takeout. The letters are laser-etched into the keys so they won't wash off. And it is, of course, coffee-proof. Available to pre-order for $40. Register Hardware's review gives the Huawei Ascend G300 a big thumbs up. "Huawei's first major do-it-yourself smartphone release is a surprising gem of a blower, particularly in terms of display. While some rivals also feature resolutions of 480 x 800, none of them boast the G300's 16m colour palette, a trait that brings real vibrancy to its 4in screen." "The handset also dominates the budget blower category in terms of processing power, thanks to its current-gen 1GHz S1 chip, usually reserved for more mid-range priced devices. 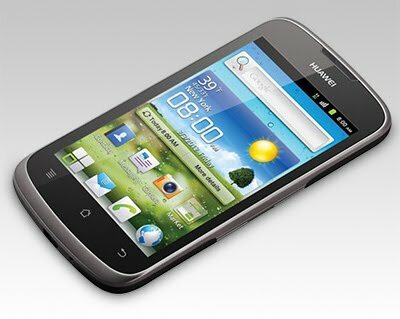 Running Android 2.3 Gingerbread it's extremely responsive." "The G300 raises the bar with what to expect when spending less than £100 on your blower. 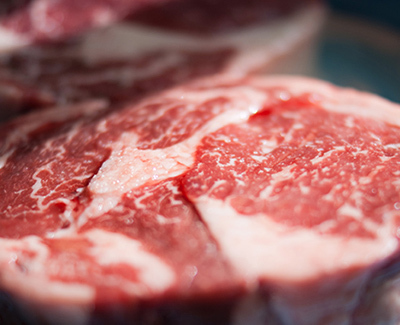 It's a little weighty at 140g but it doesn't get much better than this for the money." 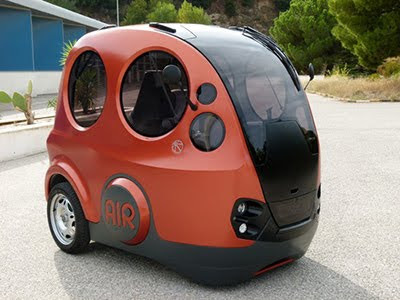 The Tata AirPod is a city car running on compressed air (as well as a battery-powered electric motor). The ease of converting air into an energy source using simple compressors means charging stations can be placed anywhere, and they require no provisioning — no trucks delivering gas, ethanol, or hydrogen — and they produce no emissions. The AirPod can run 125mi (200k) at a top speed between 28 to 43mph (45 to 70kph). The car is intended for a single rider, and has a small cargo area in the back. 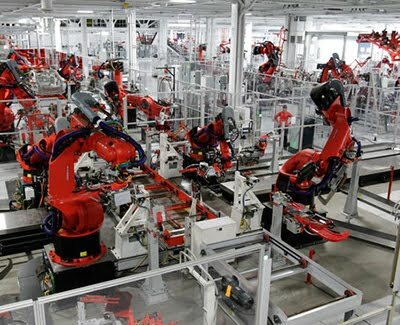 The New York Times has published an excellent article on the increasing use of robots in industry. "At the Philips Electronics factory on the coast of China, hundreds of workers use their hands and specialized tools to assemble electric shavers. That is the old way. At a sister factory in the Dutch countryside, 128 robot arms do the same work with yoga-like flexibility. Video cameras guide them through feats well beyond the capability of the most dexterous human." "One robot arm endlessly forms three perfect bends in two connector wires and slips them into holes almost too small for the eye to see. The arms work so fast that they must be enclosed in glass cages to prevent the people supervising them from being injured. And they do it all without a coffee break — three shifts a day, 365 days a year." "Such advances in manufacturing are also beginning to transform other sectors that employ millions of workers around the world. One is distribution, where robots that zoom at the speed of the world’s fastest sprinters can store, retrieve and pack goods for shipment far more efficiently than people." "Rapid improvement in vision and touch technologies is putting a wide array of manual jobs within the abilities of robots. For example, Boeing’s wide-body commercial jets are now riveted automatically by giant machines that move rapidly and precisely over the skin of the planes." To help the company achieve this aim, billionaire Peter Thiel has given it a grant of between £160,000 and £220,000, through the Thiel Foundation’s “Breakout Labs”. 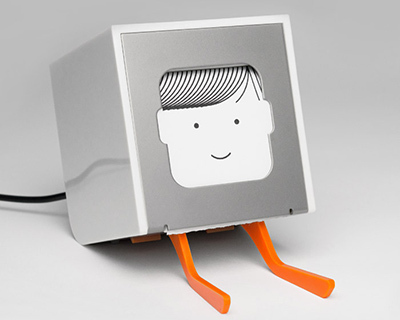 Announced last year, BERG Cloud's Little Printer Starter Pack is available for pre-order for £199, with a ship date of mid-October. Please tell me this is a hoax. I've yet to find anyone who reads the terms-of-service contracts that we 'agree' to on the various websites of the world. 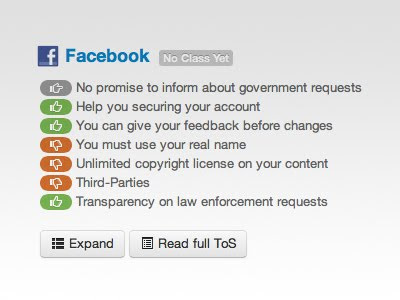 But now, a group of technologists, lawyers, and interested parties have created TOS;DR, a project to create peer-reviewed summaries of all those documents you will never actually read. Launched in June, it's a brilliant and already-useful tool for some of the more heavily trafficked sites on the web. For example, if you're uploading photos to TwitPic, you might want to reconsider. They give the site their worst grade, a 'Class E'. Why? Well, they have an easy-to-understand summary right here. If you click on "Read the Details," you get an extended explanation of these warnings and can also link back (almost like a Wikipedia page) to the TOS;DR discussion that led to the thumbs-down. 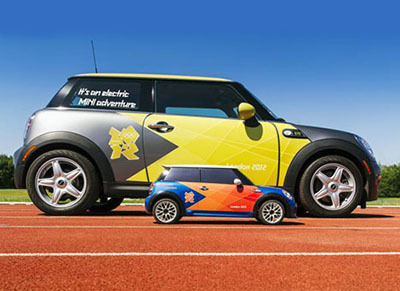 If you've seen the small cars whizzing across the lawn at the Olympic stadium for track and field events and have been wondering whether remote-controlled car racing was added as a new Olympic sport this summer, rest assured that's not the case. You've spotted one of BMW Group's MINI Mini's, a 1/4-scale version of the street-ready MINI designed to transport sports equipment across the field. The speedy little guys are built with a 10-horsepower electric engine and can carry up to 17.5 pounds, or two javelins, a hammer, discus or shot. It measures just over 3.5 feet long, weighs 55 pounds and has a battery-powered radio control that gives it a 100-meter range and can hold a charge for 35 minutes and fully recharge in 80. 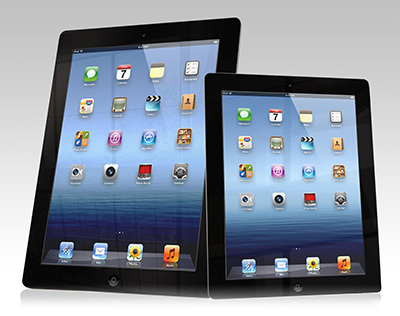 Gizmodo, in collaboration with Nickolay Lamm to produce some high quality visuals of what Apple's heavily-rumoured iPad mini might look like. 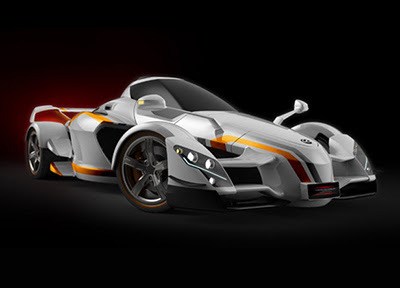 Spanish car maker a.d. Tramontana is finalising the XTR, an F1-styled, crazy-fast, and ultra-low production supercar – the second from the boutique automaker. Under the hood is a Mercedes-Benz 5.5-liter twin-turbo V-12 that will crank out 888 horsepower and 678 pound-feet of torque, pushing the mostly carbon-fibre coupe that weighs in at under 3,000 pounds. The engine comes from Tramontana’s previous model, the tandem-seat R. The XTR is similar to its predecessor, save for a new racing-spec gearbox and more aerodynamic aid from carbon fiber, but certain tweaks have cajoled an extra 150-plus horsepower from the original engine. The R hit 60 mph in 3.6 seconds and topped out at 214 mph, so expect those numbers to go lower and get higher, respectively. The XTR will be available later this year for 420,000 euros. 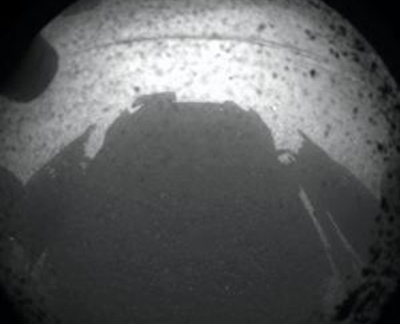 "Now safely on the ground in the Gale Crater, Curiosity can begin its two-year mission: to find whether Mars has the crucial ingredients that could once have supported life." "Curiosity is the first rover to use its own wheels as landing gear. The six wheels are half a metre in diameter and as thin as cardboard. They move independently beneath the rover, so that if it had to, it could drive over an obstacle as tall as a coffee table." "The wheels will have to wait to make their first tracks, however. First, the rover has to stretch its robotic 'arm' and 'neck'. The former carries a suite of instruments including a camera that will be used to peer at rocks, like a geologist using a hand lens. The latter is a mast carrying high-resolution cameras that will reveal panoramas of Curiosity's surroundings, and a laser that will zap rocks from a distance to help reveal their composition." "Once it gets into its scientific stride, Curiosity will use its onboard chemistry lab to look for organic molecules required as the basic building blocks of life, and chemical energy sources that could have been used by Martian microbes." Adobe have released this News Gothic influenced typeface in 6 weights and complementary 'proper' italics. A monospace version is also being developed. The fonts offer wide language support for Latin script, including Western and Eastern European languages, Vietnamese, pinyin Romanization of Chinese, and Navajo. These fonts are the first available from Adobe to support both the Indian rupee and Turkish lira currency symbols. 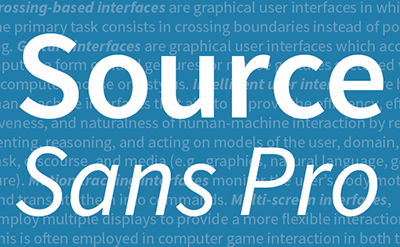 Source Sans is available for use on the web via font hosting services including Typekit, WebInk, and Google Web Fonts, and will shortly be available for use directly in Google documents and Google presentations. To download the font package, click here. 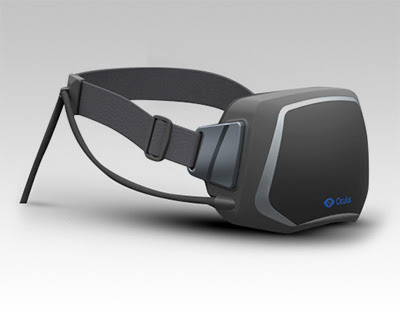 Oculus Rift is a new virtual reality headset designed specifically for video games that will change the way you think about gaming forever. With an incredibly wide field of view, high resolution display, and ultra-low latency head tracking, the Rift provides a truly immersive experience that allows you to step inside your favorite game and explore new worlds like never before. 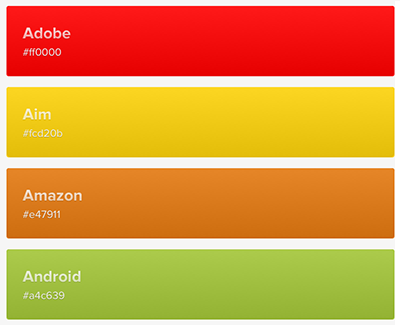 Galen Gidman is curating a fascinating list of company brand colours. "The Sony Cyber-shot RX100 is an excellent advanced compact that offers a near-perfect blend of size, performance and image quality." "At over £500 though the RX100 doesn’t come cheap, putting it into the same kind of price bracket as many CSCs and even some entry-level DSLRs." "Clearly the RX100 is a different kind of camera altogether that is designed to appeal to a different kind of user with a different set of needs, however if portability isn’t your number one priority then this is certainly something to think about. 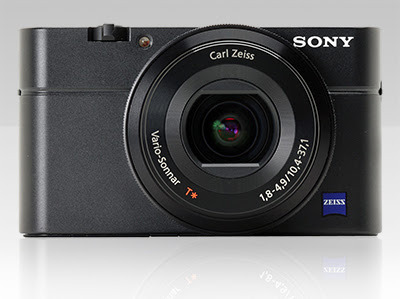 If not and you're looking for a premium advanced compact, then the RX100 certainly fits the bill."